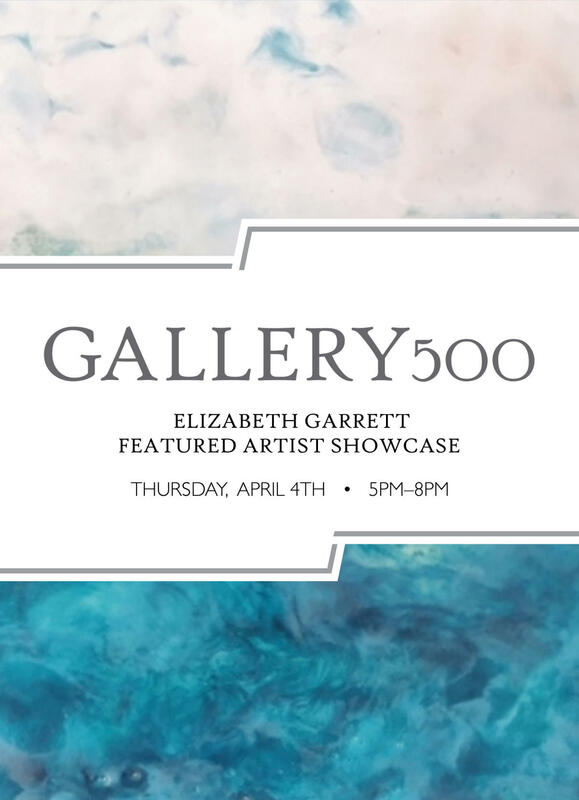 Join Gallery 500 for a featured artist showcase with Elizabeth Garrett! 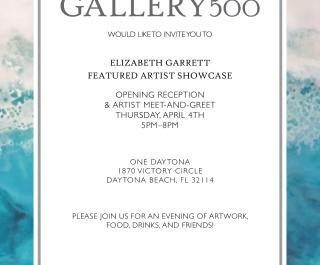 You can chat with the artist and get the first look at new inventory at the opening reception. The exhibit runs through June 1. 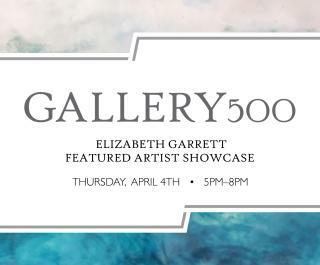 RSVP at info@gallery500.art to attend. 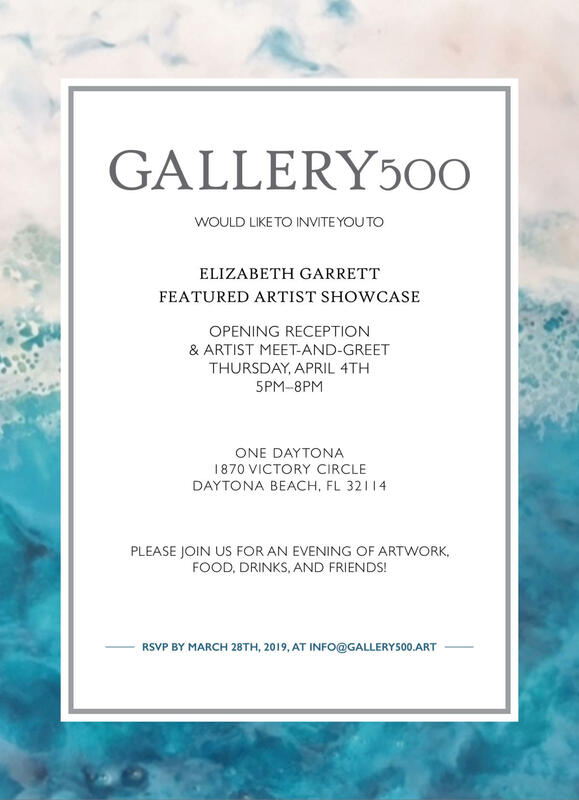 Please come for an evening of artwork, food, drinks, and friends!